Talk about a good insurance policy. Researchers at Michigan State University (MSU) just published an article in the Journal of Applied Ecology that indicates that blueberry growers who invest in nearby wildflower habitat to attract and support wild bees can increase their crop yields. They're saying that the cost of planting a habitat for wild bees can pay for itself in four years or less. "Other studies have demonstrated that creating flowering habitat will attract wild bees, and a few have shown that this can increase yields," MSU entomologist and co-author Rufus Isaacs said in a press release. "This is the first paper that demonstrates an economic advantage. This gives us a strong argument to present to farmers that this method works, and it puts money back in their pockets." "This is HUGE news," said pollination ecologist Neal Williams, associate professor of entomology at UC Davis, who was not involved in the study. 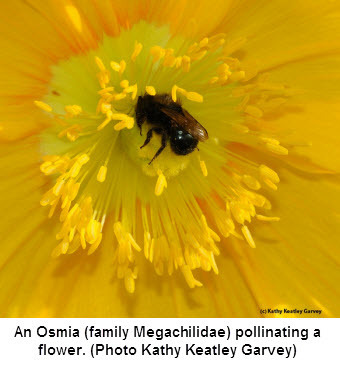 "This is the first study to quantify pollination benefit as a result of habitat planting adjacent crops. It also works through the economics of the implementation of the the habitat and accrued economic and yield benefit over time. Fantastic stuff." This is right up Willilams' alley, er, hedge row. He and his colleagues are exploring the role of wild native bees, honey bees and other managed species as crop pollinators and the effects of landscape composition and local habitat quality on their persistence. His research on pollination spans the disciplines of conservation biology, behavioral ecology and evolution. One of his primary research foci is on sustainable pollination strategies for agriculture. 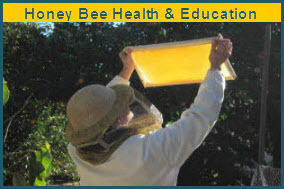 This work is critical given ongoing pressures facing managed honey bees and reported declines in important native pollinators such as bumble bees. Williams' research has taken him from eastern Pennsylvania and New Jersey to California's Central Valley. 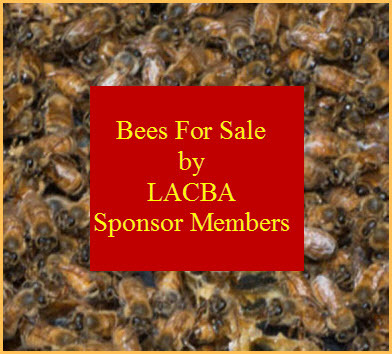 "A continuing goal is to provide practical information that can be used to improve the long-term stability of pollination for agriculture in California, as well as promote pollinator conservation and management," Williams says. In addition to work in agriculture, he is also studying how habitat restoration affects pollinator communities and pollination. Earlier California studies, involving Clare Kremen of UC Berkeley, Neal Williams and other colleagues, showed that wild bees make honey bees better pollinators; that is, the presence of wild bees makes the honey bees work harder. Regarding the MSU study, the research team planted surrounding bueberry fields with a mix of 15 native perennial wildflowers, hoping to increase the wild bee population and thus improve pollination in the blueberry fields. And yes, that's exactly what happened. "In the first two years as the plantings established, we found little to no increase in the number of wild bees," Isaacs related in the press release "After that, though, the number of wild bees was twice as high as those found in our control fields that had no habitat improvements." To quote from the press release: "Once the wild bees were more abundant, more flowers turned into blueberries, and the blueberries had more seeds and were larger. Based on the results, a two-acre field planted with wildflowers adjacent to a 10-acre field of blueberries boosted yields by 10-20 percent. This translated into more revenue from the field, which can recoup the money from planting wildflowers." Isaacs was quick to point out that the researchers are not suggesting that growers cease using honey bees for pollination services. But with 420 species of wild bees in Michigan alone, he says, it makes sense to attract the "free" wild bees. Indeed, it does. This study could have major implications for not only research in California, but nationwide.